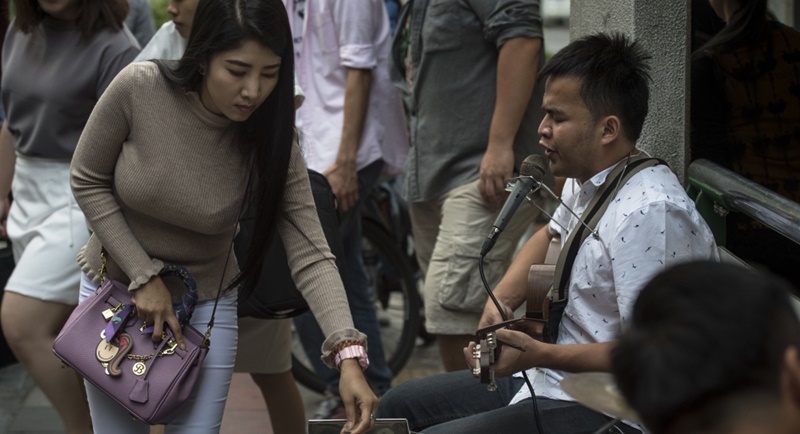 BANGKOK: Strumming his guitar with ease and backed by a drummer, Singhkum Boonriang belts out covers of Thai ballads as strangers pass by on a busy Bangkok afternoon. But Singhkum is no ordinary busker – he’s one of hundreds of blind singers who perform across the Thai capital at traffic junctions, skytrain stops and other busy locations. “There are two or three jobs that we can do, like selling lottery tickets, singing or giving massages,” muses 50-year-old Yupin Boonchuen, who makes around B1,000 a day performing outside a skytrain station. “The sound is quite plaintive – the music itself is quite nostalgic, almost, and so I think it has quite a strong pull on the Thai heart,” he adds. “The project stemmed from the idea of not leaving anyone behind,” said Napa Setthakorn, director of the Social Development and Welfare Department, which runs the program.